Forget fluorescent velour. This season's smattering of tracksuits harken back to a more sophisticated, street-savvy two piece. This season, designers tipped their Kangols to Dapper Dan, the 1980s streetwear pioneer whose hip-hop inflected silhouettes, wallpapered with unauthorized luxury logos, were the toast of Harlem’s elite. The visual puns that made his underground creations cheekily irreverent—Louis Vuitton doing athletic attire?! Gucci sneakers? !—are now a fixture of the high fashion pantheon. 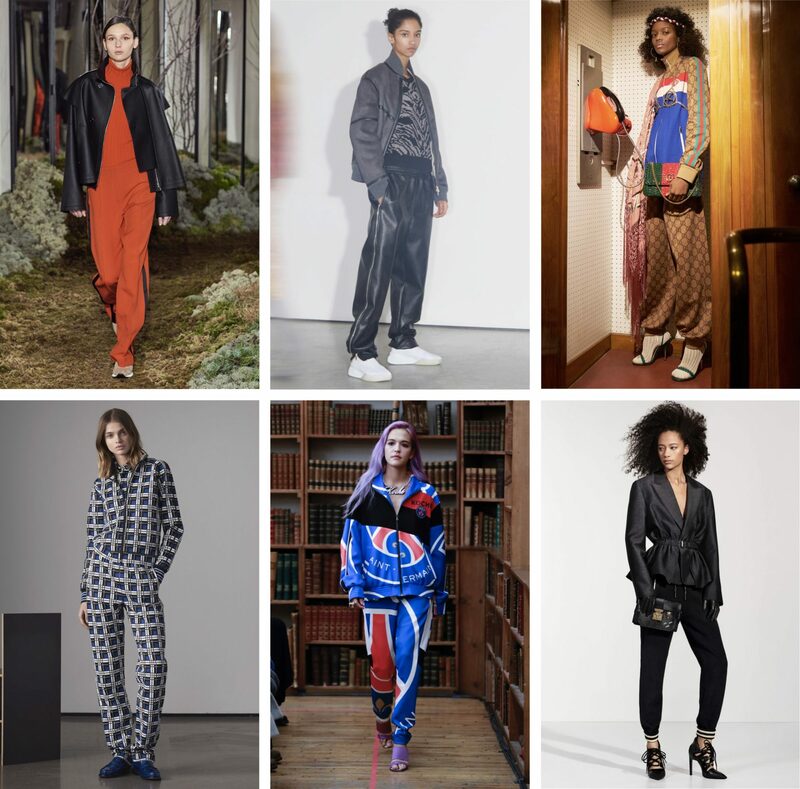 Pre-fall collections saw fashion’s toniest players embracing that brand of haute swagger with an array of tracksuits that, stylistically, stand at the intersection of Madison Avenue and 125th Street. Gucci, which recently funded the reopening of Dan’s atelier, offers the most literal homage: a two-piece ensemble awash with the brand’s signature monogram of interlocking G’s. Rather than sporting their own logos, Koché’s Christelle Kocher utilized a patchwork of insignias from Paris’s Saint-Germain soccer team, while Tomas Maier opted for a graphic, Gio Ponti–esque print. Others, like Louis Vuitton and Hermès, soften the tracksuit’s sportive associations by swapping the standard zip-up jacket for a sharply tailored blazer or buttery deerskin blouson. The tracksuit’s appeal may have been sullied by the Juicy Couture craze of the early aughts but, as these looks prove, the style is perfectly suited to today’s fashion-minded fly girls.